you run across something that is on another level. something that seems to spring from a barren landscape. something that turns the world upside down. something that seems to be created out of the void. it’s the fire in the blood of the poet. it is total body in which the voice is searched out and found. a howl. a moan. a groan. a shout. a song. and even though the body may crumble it revives and is strong. from the voice. from the fire in the voice. from the fire in the song. and you find it is time to burn. it’s about an absolute obsession to reach a higher level of intensity in one’s art. at the same time there is an effortlessness, as if the artist were born for it, as if the artist were born to it. it is both obsessive passion and effortlessness. it’s about a newfound reality. it’s about reaching a new state of consciousness. it’s about being able to create a new energy. when you view that new level of consciousness, that new level of energy, that new level of obsessive passion, that new way of looking at things, you know there has to be a name for it, there must be a name for it. there is a name for it: outlaw. there is an artist associated with it: outlaw. there is a consciousness associated with it: outlaw. what is it? outlaw. who is it? outlaw. where does it get its power? from itself. where does he get his power? from himself. what is it? being a law unto yourself. who is he? the one who is a law unto himself. how do you recognize it? it involves risk. it involves danger. poetry is dangerous, the poet is an outlaw. outlaw is about self-creation, about making your life a work of art, it is also about making your art a work of life. your art comes alive through an overflow of intensified life experience. not only do you create yourself, not only do you create your own artistic laws, but you test these artistic laws through the intensity of your life and the intensity of your art. you reach another level of reality, you reach another level of identity. you dare to think differently, you dare to live differently. you live on the edge in order to be innovative, to create new symbols, new metaphors, new archetypes. to live inside the poem is to be an outlaw. yet, along with this obsessive passion and self-creation, there is an effortlessness, a letting go, a surrender. the outlaw is not only a revolutionary, he is a receptor, a receiver, a channel through which other energies work. the outlaw reaches a level of pure spontaneity, pure improvisation, an absolute letting go. he reaches a level in which he does not write the poem, the poem writes him. he is a ghost. and his language is ghost language. 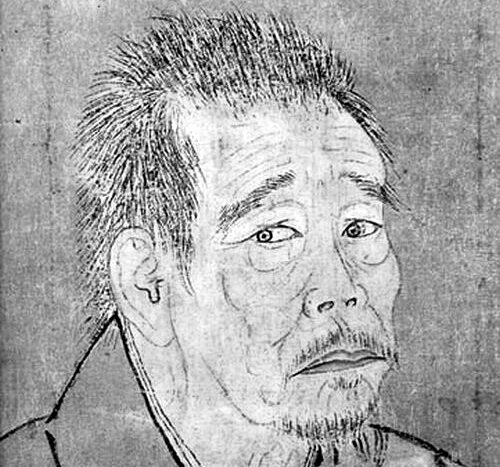 i think of this ghost reality of the outlaw, i think of ikkyu, the 15th century japanese zen master. i think of his last words, his dying words. as he was dying, his disciples gathered around him, mourning his death. ikkyu told them not to mourn, not to weep, because he was not dying. he was not going anywhere. he would be right here. however, he said, do not ask me anything, for i won’t answer! he is here but he is not here. in saying he does not say. in not saying he says. that is the essence of ghost language. the question is: who are you? the question is: you are who? and the answer is: you are who you are not. you are the ghost who has left yourself. you are most yourself when you are least yourself. you are most yourself when you are the ghost of yourself. is about body, the visceral, the blood. a revitalizing energy. the high intensity of passion. and the revitalizing energy of this passion. a new energy force. pure revitalization. what is needed is a resurrection of the body. for the body is dead. then the resurrection of the spirit. for the spirit is dead. what is needed is a resurrection of the individual. what is needed is an absolute transformation of consciousness. what is needed is a starting from scratch. what is needed is a starting anew. what is needed is a rejuvenation of passionate energy. outlaw turns the world upside down because the outlaw’s starting point is with the individual. the artistic outlaw is the center of the universe. the independent and unique individual is the center of the universe. the individual will of the outlaw is superior to the external world. the outlaw challenges the norm, does not accept doctrines which cannot be absorbed and recreated in one’s own image. the outlaw is an innovator. the outlaw is a creator. the outlaw is a revolutionary. you find the individual who turns the world upside down, you find the outlaw. in philosophy, friedrich nietzsche turned the world upside down. nietzsche saw the basic elements of the universe as being identified by two forces: the will to power and the emotion of fear. but wait. he thought further. isn’t the emotion of fear simply the absence of the will to power? so, there is only one force in the universe: the will to power. nietzsche was not talking about external power, but the internal power of the individual. this is outlaw to the core. outlaw begins with a barren landscape. the outlaw begins with a separateness and a marginality. outlaw is about making yourself out of nothing. outlaw is about creating yourself out of nothing. outlaw is about liberation. about doing what you have to do to be free. outlaw is about reaching a different state of consciousness. outlaw is about taking art to a different state of consciousness. it’s more than poetry. it’s a way of life. outlaw revolution is a revolution of blood. the outlaw revolution is a revolution of a new identity. the outlaw revolution is a revolution of blood. the outlaw revolution is a revolution of who you are. the outlaw revolution is a revolution of blood. the outlaw revolution is a revolution of who you are not. the real revolution lies deeper. it’s in the theater of blood. the real revolution lies deeper. it’s in the space of a face. the real revolution lies deeper. it’s in the blood of the poet. the real revolution lies deeper. it’s in the primal act of creation. the real revolution lies deeper. it’s in the poem lived on the edges. More on Tony Moffeit can be found by clicking here… inclusive books and a record to buy. This entry was posted in Tony Moffeit and tagged Ikkyū Sōjun, Outlaw, Outlaw Poetry, Poetry, Tony Moffeit by Monsieur K.. Bookmark the permalink.